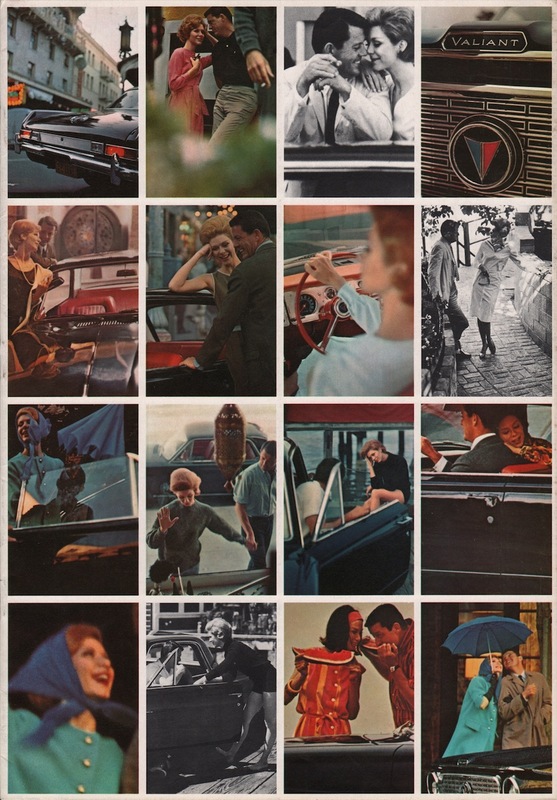 Large sized sales brochure for the 1963 Chrysler Valiant featuring the Valiant Signet 200 convertible, Valiant Signet 200 2-door hardtop, Valiant V-200 convertible, Valiant V-200 4-door sedan, Valiant V-200 2-door sedan, Valiant V-200 4-door station wagon, Valiant V-100 4-door sedan, Valiant V-100 2-door sedan, and Valiant V-100 4-door station wagon. The standard 6-cylinder engine delivers 101hp and has a displacement of 170ci. Optional is a "Hot Box" 225ci V8. Exterior color options include metallic Gray, Black, metallic Brown, Light Beige, Red, Dark metallic Blue, Medium Beige, metallic Green, Medium metallic Blue, Light Blue, Light Green, and White.